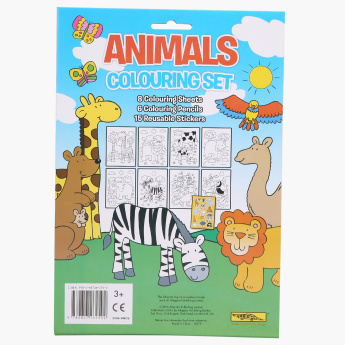 Animals Colouring Set | Multicolour | Animal themed coloring book with 8 coloring pages featuring cute animals. 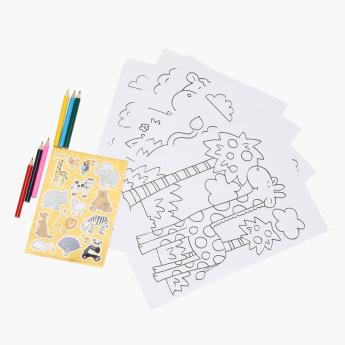 An apt gift for kids, this colouring set includes a colouring book, stickers and some colours. 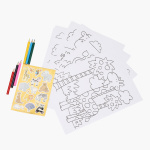 Great for helping your kid develop creative skills, it is a perfect pick. 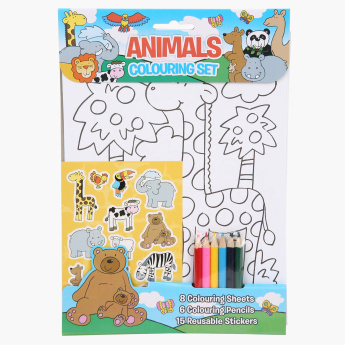 Feature 2 : The set also includes 6 color pencils and 15 reusable animal stickers to decorate the creative pieces of art. Feature 1 : Animal themed coloring book with 8 coloring pages featuring cute animals. Feature 3 : A great gifting option for preschoolers, perfect set to have while travelling and during school holidays or playdates.